TV presenter Ant McPartlin has been fined £86,000 and given a 20-month driving ban after pleading guilty to drink driving. He also said he was “thankful no-one was hurt” in the three-car collision in Richmond, London, on 18 March. The court heard he had been more than twice the drink drive limit. In a letter read out in court, McPartlin also said he was “ashamed and mortified” and “accepts full responsibility” for what happened. The fine is thought to be one of the largest handed down in a British court for a drink driving offence. The mother of the Britain’s Got Talent and Saturday Night Takeaway presenter was in the passenger seat of his Mini at the time of the collision, the court heard. 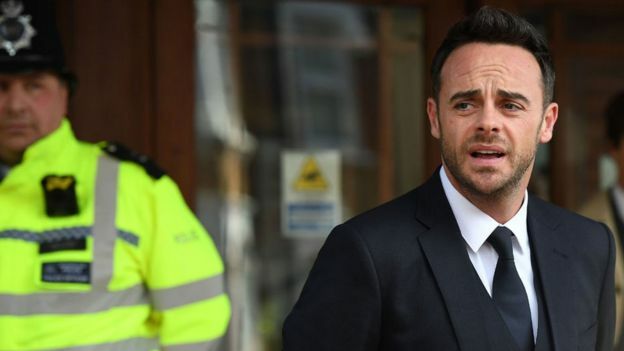 In court, Ant McPartlin – wearing a dark three-piece suit and black tie – looked down and slowly nodded a number of times as he heard that he was being fined and given a 20-month disqualification from driving. Extracts from a statement that he had given the police included the words “ashamed”, “mortified”, “sorrow” and “regret”. There was no Dec to support him in court. This was Ant alone, behind the glass of a witness box – the furthest from his TV persona that he had ever been seen in public. Outside court there were more apologies from McPartlin in a prepared statement and then a hasty exit into a waiting people carrier as shouted questions, not unexpectedly, went unanswered. Britain’s Got Talent’s pre-recorded audition shows mean that he will still be on Saturday night TV for the next two months. But his brief emergence at the top of the steps at Wimbledon Magistrates’ Court could be his last live appearance for a long time. The court heard McPartlin had 75 microgrammes of alcohol in 100 millilitres of breath when he was breathalysed – the legal limit is 35 microgrammes per 100 millilitres of breath. 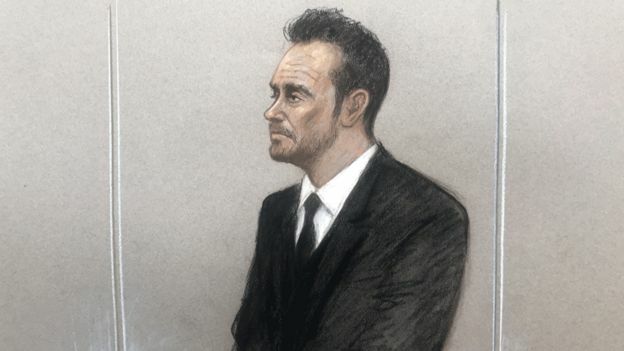 District Judge Barbara Barnes described McPartlin as a “well-known and successful entertainer”, taking his weekly income of about £130,000 into consideration when calculating the fine. Sentencing him, the district judge said: “At the time when it happened you were struggling with various personal problems and also alcohol issues for some months. McPartlin’s driving ban can be reduced by five months, to a total of 15 months, if he completes a drink-drive referral programme by mid-May 2019. She said McPartlin was driving around a “sharp bend and lost control” and then ended up on the wrong side of the road. He collided with another Mini car before driving “straight into the front of an oncoming car”. McPartlin’s vehicle “came to a halt and was no longer driveable due to the damage caused”, she added. McPartlin’s barrister Liam Walker said his client has expressed both his “sorrow and regret” and knows the consequences could have been much worse. The presenter knows people in the public eye should provide a positive example to others and his court appearance is a “turning point” for him, the lawyer added. The Metropolitan Police previously said that a number of individuals were treated at the scene for minor injuries, and a child passenger from one of the cars was taken to hospital to be checked as a precaution. McPartlin’s barrister said his client had been seeking help for “alcohol and emotional issues” at the time of the crash. He told the judge the incident was down to “a brief relapse” unbeknownst to McPartlin’s mother. After he was charged, his publicist confirmed McPartlin was taking time off from his TV commitments. He is currently seeking treatment. 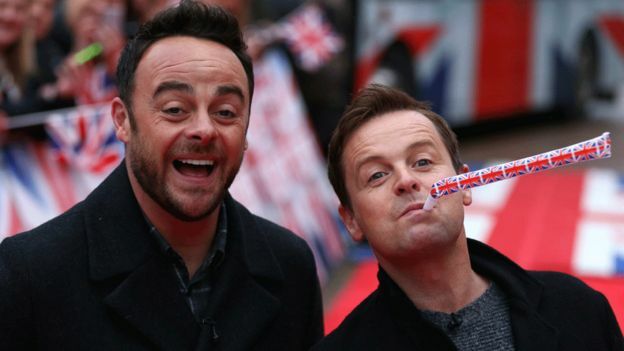 His presenting partner Declan Donnelly hosted the final two episodes of Saturday Night Takeaway alone and will also host Britain’s Got Talent on his own, although McPartlin was seen on the ITV show over the weekend as the talent show aired its pre-recorded audition shows.